Make sure the edge loops near the eyebrows allow for correct deformation. Always spread the fingers in the hand slightly and make them in a relaxed pose. Make sure the eyes are aligned forward perfectly. 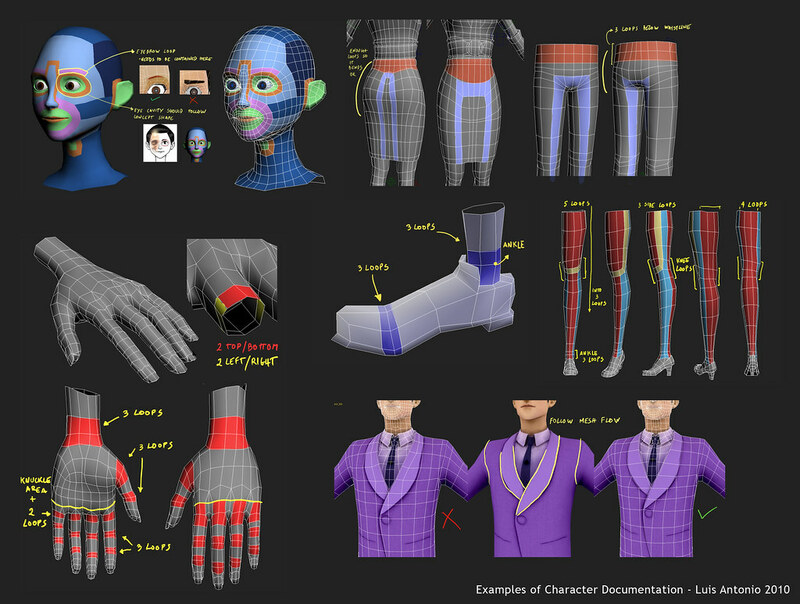 Makes it much easier for animators to pose and keep it uniform between models. Later on they will change the angle that it looks at. Make sure that hidden topology (ex. Wrists under a jacket) match the original bone shape so they can be skinned correctly. 200 polygons with 1 320×200 8bit texture using predefined palette. http://www.polycount.com/forum/showthread.php?t=84508 - What are people using and why?